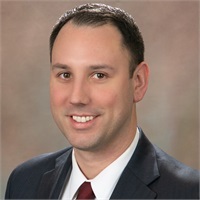 Peter Devlin serves as the Relationship Manager at Standard Pension Services, LLC, where he partners with corporate clients to provide all advisory services to plan participants and benefit administrators. This includes holding educational seminars, providing one-on-one personal financial guidance to participants, and working closely with plan administrators to ensure they receive the assistance needed. Peter also works individually with clients to develop financial plans, implement investment strategies and provide tailored guidance in nearly all aspects of their financial decision making. Peter believes education is the key to long-term financial well-being, as knowledge empowers people to make well-informed decisions for a lifetime. Peter graduated from Bucknell University with a Bachelor of Arts in Economics and launched his career in financial services in 2002 on the floor of the New York Stock Exchange. Prior to joining Standard Pensions Services, LLC he worked as a wealth management analyst at a premier New York City Registered Investment Advisory firm helping institutional clients and high-net-worth families oversee their financial plans. Peter is also a former board member of the St. Andrew's Society of the State of New York, an organization which helps people of Scottish descent in the tri-state area. Peter lives in Breezy Point, New York with his wife and three boys. In his free time, he enjoys attending concerts, Yankee games, coaching his son’s soccer team, and spending time with his family, preferably on the beach.